It’s February and I still can’t turn on the TV without being inundated by advertisements for weight loss products, diets, and exercise routines. It happens every year post-holidays as advertisers try to capitalize on New Year’s resolutions and holiday guilt. As a Licensed Professional Counselor specializing in eating disorders and body image issues, I find these ads and the cultural messages they perpetuate disturbing and downright dangerous. These ads sell the idea that if you lose weight, you’ll have more joy, happiness, fulfillment, success, love, money, [fill in the blank] . . . in your life. They feed the notion that our self-worth, well-being, and happiness is contingent upon our weight and appearance. When I see these ads, I usually change the channel or turn off the TV but unfortunately I know that many people don’t and their feelings of self-worth are being negatively impacted by these messages. I know this because I used to be one of them and they still sometimes sneak in without me realizing it. You are not defined by the number on the scale nor the shape of your body. 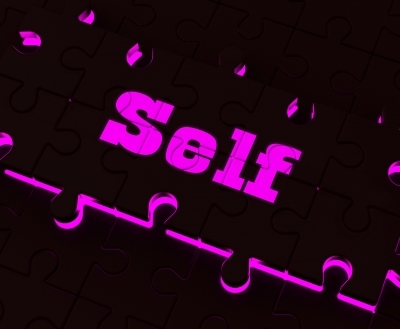 Self-esteem refers to how you think and feel about yourself as a total package – your personality, your role in relationships, your accomplishments, your morals, your values – everything that contributes to who you are as a person in the world. Body esteem refers to how you think and feel about your body – your size, your shape, your hair, your features – all of those attributes that contribute to your physical appearance. Bulik says, “In our society, body esteem often eclipses self-esteem and becomes the primary and sometimes only dimension on which women evaluate their self-worth.” One of the things I help clients do is identify who they are (separate from their eating disorder or body image dissatisfaction) and what’s important to them (i.e. their values). We then begin to identify what is getting in the way of them living the life they want to live and how to start moving in that direction. Through self-awareness, mindfulness, and acceptance they start to work towards living from the inside out rather than the outside in and gain a sense of self that is not based solely on their shape, size, or appearance. What would change in your life if your self-worth was not defined by your body’s shape and size or your appearance? Thanks for sharing such a powerful lesson on distinguishing between our inherent self worth and a false sense of self that hinges on the mistaken belief that what we are is how we appear to the world. We are so much more! It’s especially difficult in a society that focuses so heavily on body image, materialism, and success. Your clients are very lucky to have you guide them through this! Thanks for your comment! I find that it is very difficult for people to differentiate between self-esteem and body-esteem due to a multitude of factors including our society’s focus on body image, materialism, and success as you so aptly put it. Just the realization that we are defined by more than our appearance and our self-worth is not comprised solely of our shape and size can be a profound and pivotal moment for my clients!